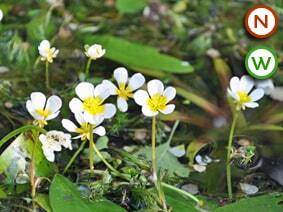 Dainty white flowers appearing above the water from April to July. 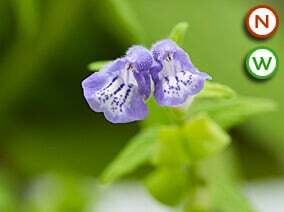 This attractive native oxygenator will grow in still or running water. Planting position: Depths of 15 – 60cm. 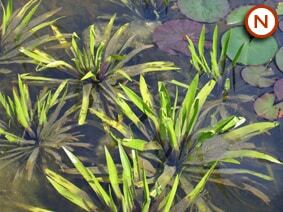 In new ponds or ponds with little sediment in the bottom best planted in baskets. 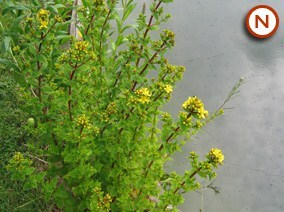 Bunches are supplied ‘tied’ with a lead weight which should be removed if planting in a basket. 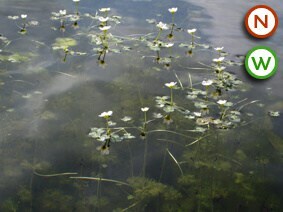 If you plan to let them root in a natural or soil-lined pond the bunches can be held down under a stone or planting basket as an alternative to the lead weight -if so please specify no lead weight in comments box on checkout page.